Loads of numbers and stats not your thing? Want to play fantasy baseball, but don't have time to pour over pitching matchups? 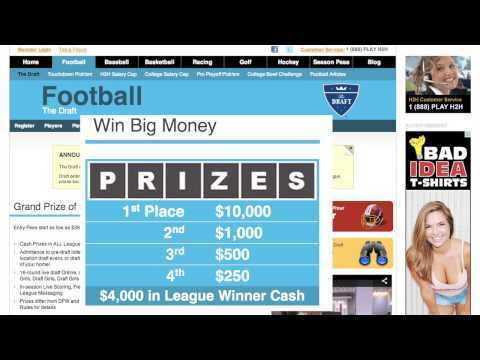 Then check out our simple, unique way to play fantasy baseball! Sign up a few friends or enter an entire 12-team league! Who do YOU take in the first round? Can he take you to victory? Don't wait! Registration ends on Tuesday, April 5th! Includes Trophy and merchandise league prizes. Includes $1,200 in league cash prizes. All teams are eligible for the $2,000 Grand Prize regardless of league choice. Maximum $150 actual cash budget for bidding on free agents during the season. Tim Beckham is not in Sunday's lineup against the Angels. Jay Bruce is not in Sunday's lineup against the Angels. Omar Narvaez is not in Sunday's lineup against the Angels. Jimmie Sherfy was recalled from Triple-A Reno on Sunday. Tucker Barnhart is on the bench Sunday against San Diego, Bobby Nightengale of The Cincinnati Enquirer reports. Rich Hill (knee) will throw five or six innings at extended spring camp Monday and could rejoin the rotation next weekend, Bill Plunkett of The Orange County Register reports.